Sporty chic! One up the competition in this lace-up boot. 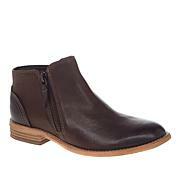 You'll get serious style points for the foldover cuff, molded Ortholite® footbed and Cushion Soft™ technology. It's a sure-fire winner worn with your casual weekend wear. Runs true to size. This shoe is a perfect fit with such comfort! 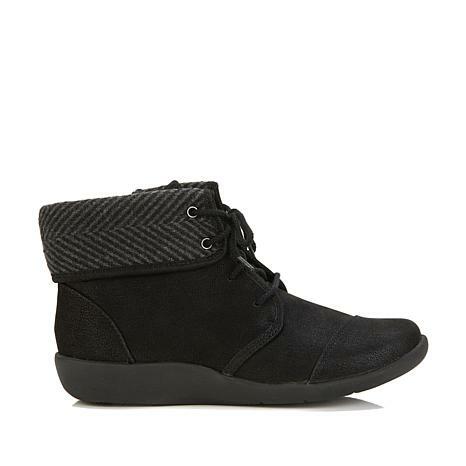 A light weight shoe and very cute too. The most comfortable bootie/shoes, I've ever owned! Sized perfect! I won't buy any other brand? It's Clark's forever for me! True to size, very comfortable. Great fit. These booties fit great!! True to size. Comfy. Def recommend. I bought another pair! 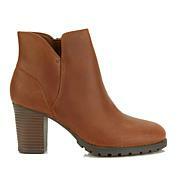 I love these boots!!! They are absolutely the most comfortable pair of boots I have ever worn. I highly recommend them. 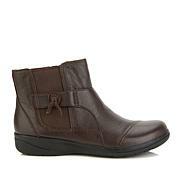 They are very stylish and look great with a pair of jeans on those very cold days.